A journey down to East Antarctica may see you stopping by Hobart, Tasmania – Australia’s second oldest city (after Sydney). Travellers to Hobart will discover a small but vibrant harbour city, its history inextricably linked with Antarctica’s; a connection, the city is immensely proud of and that has seen many attractions developed for eager Antarctica enthusiasts (‘Antarctists’, perhaps?) Founded in 1804 as a penal colony, Hobart is known for its well-preserved historic architecture, much of it dating back to the Georgian and Victorian eras, which gives the city a distinctly ‘Old World’ feel. Against this picturesque, heritage backdrop sits a humming, modern city, rich in Antarctic history, which is well worth exploring. Beginning with James Cook’s epic Antarctic voyage of the 1770s, Hobart became a major base for 19th century Antarctic sealing and whaling, and featured in the historic voyages of James Clark Ross, Dumont d’Urville, Carsten Borchgrevink, Douglas Mawson and Roald Amundsen. Today, as headquarters for Australian Antarctic operations, host city for international Antarctic organisations and a major centre for Antarctic research, Hobart holds a pre-eminent place among Antarctica’s ‘gateway cities’. Tasmania’s connection to Antarctica goes back some 180 million years, when the world was divided into two fused supercontinents. The more southerly was called Gondwana (also Gondwanaland) and included most of the landmasses in today’s Southern Hemisphere, including Antarctica, South America, Africa, New Zealand and Australia. When Gondwana split into smaller continents, Tasmania was last to separate. 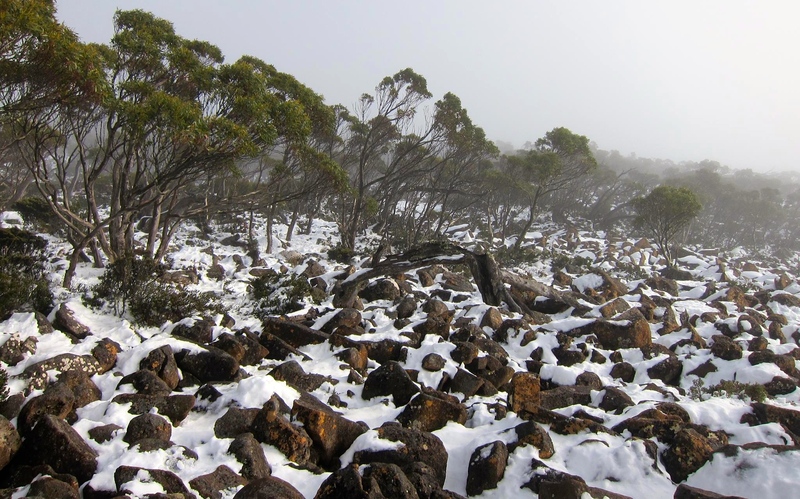 At the summit of Mount Wellington, which towers over Hobart, you’ll find yourself standing on the physical connection between Tasmania and Antarctica; the 180 million year old volcanic rock called ‘dolerite’ that much of Tasmania is made of (and which is also found in Antarctica). Hobart’s role in Antarctic-exploration dates back to 1773 when Tobias Furneaux sailed the Adventure into an unnamed bay on Bruny Island – having become separated from James Cook’s Resolution – in an attempt to circumnavigate Antarctica. Thirty years later the English established the first permanent European settlement on the Derwent River and Hobart Town developed as a haven for whalers and sealers working in the Southern Ocean. In 1831 one of the sealers, John Briscoe, completed a successful circumnavigation of Antarctica, during which he discovered Enderby Land – where Australia’s Mawson station was later established. Whaling ceased in the late 1800s but Hobart never lost its boat-building, ship-chandlery and provedoring legacy; thus the port became a logical staging post for Antarctic exploration. In December 1911, the Australasian Antarctic Expedition led by Mawson took off from Hobart’s Sullivan’s Cove, headed south on one of the most dramatic scientific expeditions to Antarctica. Some months later, Mawson’s Antarctic party sent the first wireless messages from Antarctica to the outside world – to a receiving station on Hobart’s Queens Domain. 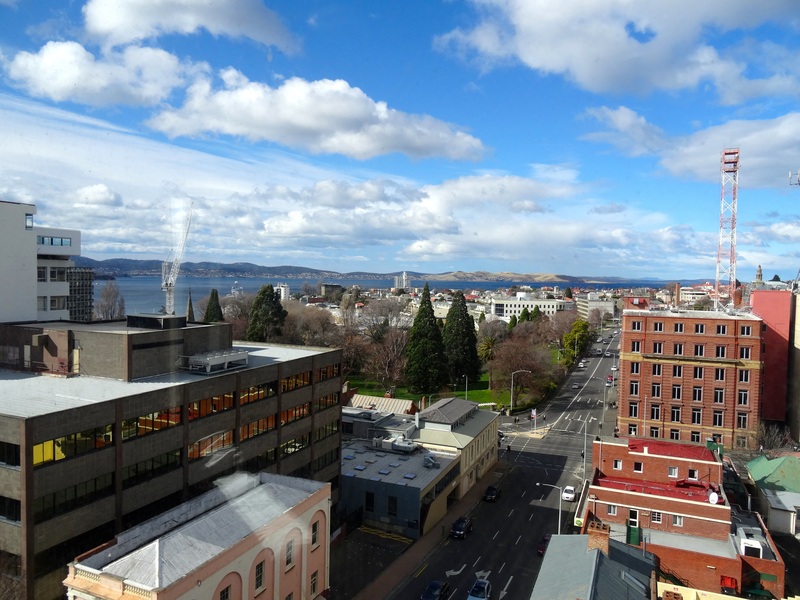 Hobart today is a buzzing hub and a foodie’s paradise; Tasmania’s strong tradition of small-scale production, organic farming and sustainability – along with rich soil, pure air and clean water – has led to a city known for it’s amazing food, delectable cheeses and world class wines. Hobart combines heritage charm with a modern lifestyle, in an exceptionally beautiful setting. With its captivating history, picturesque waterways, rugged mountains and gourmet experiences, it’s a delightfully surprising highlight on a journey to East Antarctica. There are many places around the city that provide a link to Tasmania’s rich Antarctic heritage and it’s great for walking; you’ll see plenty in just a handful of days (although you’ll need to plan in advance to get to the top of Mount Wellington – without a car it’s at least a half day activity). The road up to Mount Wellington provides the clearest geological evidence of Tasmania’s ancient connection to Antarctica. The mountain’s hard dolerite rocks are found in Antarctica’s north Victoria Land but are rare elsewhere in Australia. Dumont d’Urville, Charles Darwin, Carsten Borchgrevink and Sir Douglas Mawson all climbed to the summit, in the days before a road was built. The road, carved out during the Great Depression, snakes up from the city through thick forest before opening out to an impressive rockscape. But the view from the top – 1270m up – is beyond impressive; a jaw-dropping panorama of Hobart that gives one the sense of being able to see all the way to the end of the Australian continent. Wellington Mountain is easiest to access with a car – it’s a 21km drive to the summit – but there are also bus/walking tour options (half to full day activity). Two historical, self-guided tours allowing visitors to explore Hobart’s unique Antarctic and Southern Ocean sites and connections, including life-size bronze statues by Stephen Walker, commemorating Tasmanian physicist, Louis Bernacchi, who is remembered as the first Australian to winter-over in Antarctica. The map/guide is available online and there are two options, a walking tour and a driving tour, which can be enjoyed separately or in combination. 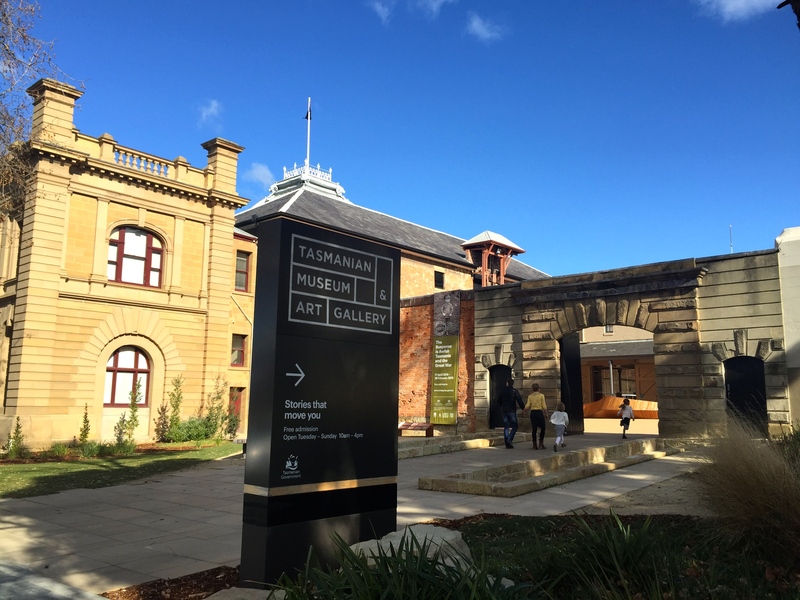 Each feature of Polar Pathways can be visited separately and you can see them in any order, although you’ll make the most of your time if you visit the Tasmanian Museum and Art Gallery early in your tour. The TMAG boasts a huge, permanent display on Antarctica, spanning two big rooms. 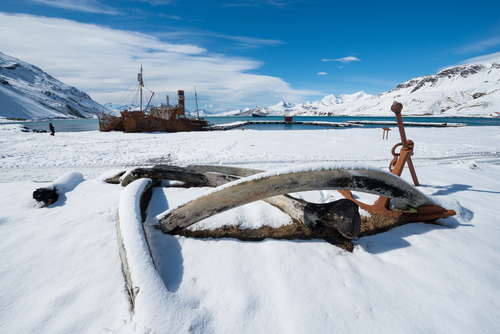 The collection includes Antarctic animal and mineral specimens, whaling relics, Antarctic expedition equipment, stamps and medals and an exceptional collection of Antarctic historical images. One side is semi-interactive and kid-friendly. Entry is free and the Gallery features many other fabulous displays and pieces. The Maritime Museum has a lot to say about Hobart’s Antarctic and Southern Ocean connections. Its displays cover early exploration of Tasmanian waters (including shipwrecks), Hobart’s role as a southern outpost and port, and the colony’s whaling and shipbuilding industries. These beautiful gardens are the second oldest in Australia and feature a unique Subantarctic Plant House, or ‘cold house’ – a small, specially constructed building where subantarctic island plants are displayed in a climatically-controlled environment. The misty, chilly setting mirrors the wet, cold conditions of the plants’ island homes. 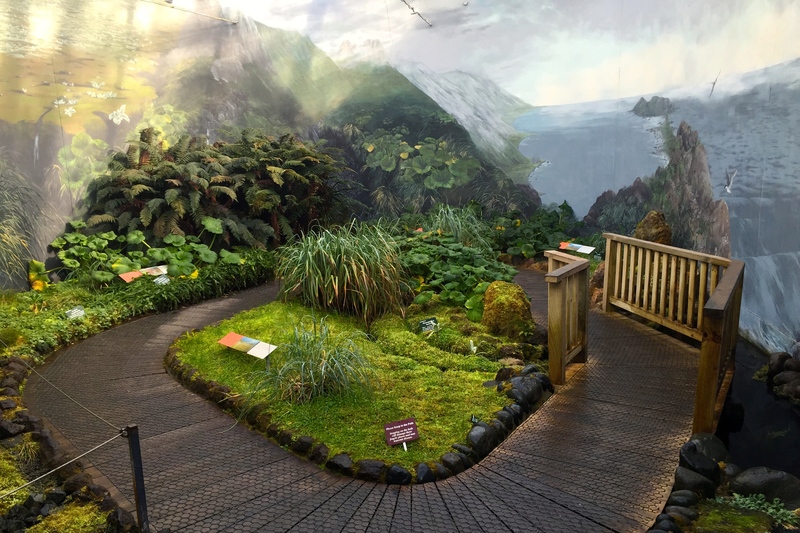 There’s no collection like it anywhere in the world and the plants have been collected by Gardens staff and associated scientists on field trips to Macquarie Island. 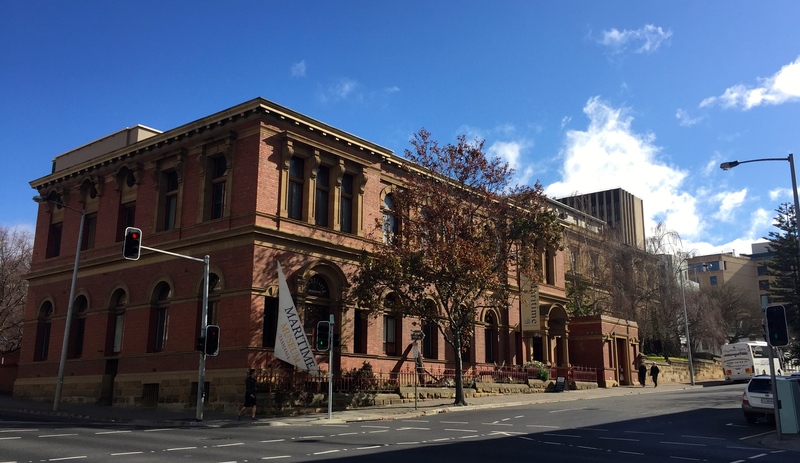 Salamanca Place is one of Tasmania’s best-known landmarks – once the centre of shipping commerce in Hobart, its rows of sandstone buildings and warehouses served a growing whale and seal-hunting industry. Today the converted buildings house busy restaurants, pubs, galleries and craft shops. 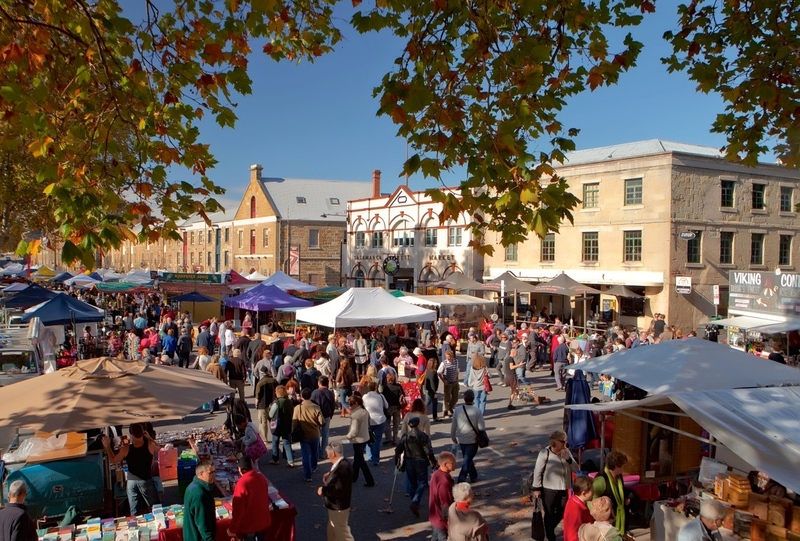 The famous Salamanca Market is on every Saturday and is a top attraction, with over 300 stallholders selling fresh and gourmet produce, arts, crafts and handiwork from all over Tasmania. 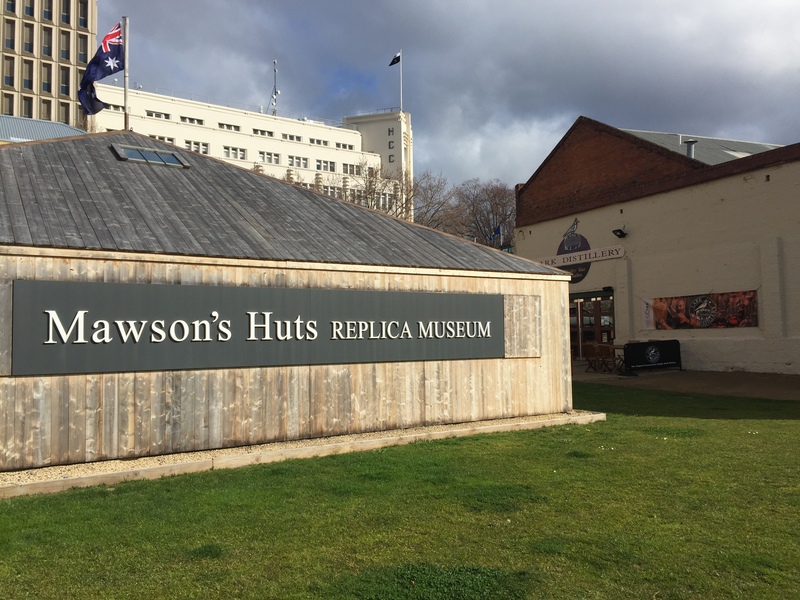 A trip to Hobart would be incomplete without visiting this odd and intriguing museum – there’s no other one like it. 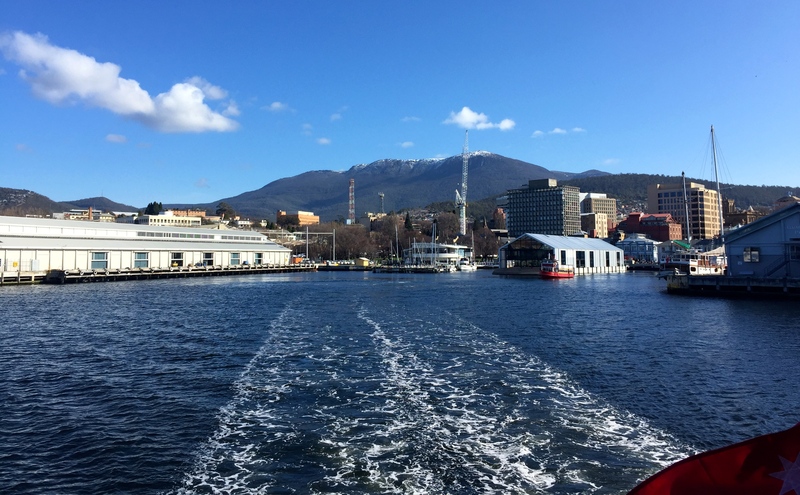 The short ferry ride offers a fantastic view of the harbor with Mount Wellington looming behind and the local wines and craft beers available on board make it quite the civilised outing! Hit Salamanca Market early Saturday morning then take the ferry to MONA in the early afternoon. In addition to its Antarctic highlights, Hobart is a haven of harbourside activity and great food, and extra time spent exploring this fabulous city and its contrasting blend of heritage, scenery and culture is time well spent. Day trips from the CBD to Hobart’s surrounds will not leave you disappointed; from the Huon Valley (gourmet delicacies including mushrooms, wine and seafood) to Bruny Island (the Bligh Museum, Cape Bruny Lighthouse National Park, wine, hand made fudge, chocolate, truffles, cheese and fresh oysters) to Port Arthur, one of Australia’s most significant heritage areas and an open-air museum. Hobart is the gateway to East Antarctica and the Southern Ocean – and much, much more. Visit our ‘Antarctica from Australia and New Zealand‘ page for more information on our latest Antarctic cruises to this beautiful region.